Figure 1. 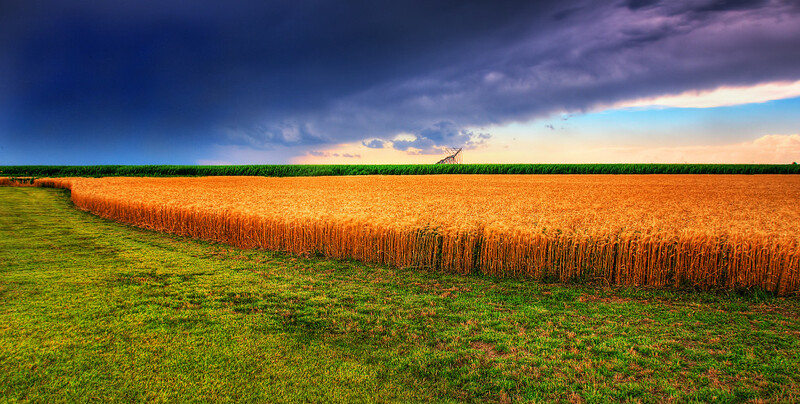 Food, like the wheat shown here, is a scarce good because it exists in limited supply. The resources that we value—time, money, labor, tools, land, and raw materials—exist in limited supply. There are simply never enough resources to meet all our needs and desires. This condition is known as scarcity. At any moment in time, there is a finite amount of resources available. Even when the number of resources is very large, it’s limited. For example, according to the U.S. Bureau of Labor Statistics, in 2016, the labor force in the United States contained more than 158 million workers—that’s a lot, but it’s not infinite. Similarly, the total area of the United States is 3,794,101 square miles—an impressive amount of acreage, but not endless. Because these resources are limited, so are the numbers of goods and services we can produce with them. Combine this with the fact that human wants seem to be virtually infinite, and you can see why scarcity is a problem. Throughout the course, you will find these “Try It” boxes with questions to help you check your understanding and apply the concepts from the reading. Choose an answer, then select “check answer” to get feedback about how you did. When faced with limited resources, we have to make choices. Again, economics is the study of how humans make choices under conditions of scarcity. These decisions can be made by individuals, families, businesses, or societies. 1. What classes are you taking this term? Are you the lucky student who is taking every class you wanted with your first-choice professor during the perfect time and at the ideal location? The odds are that you have probably had to make trade-offs on account of scarcity. There is a limited number of time slots each day for classes and only so many faculty available to teach them. Every faculty member can’t be assigned to every time slot. Only one class can be assigned to each classroom at a given time. This means that each student has to make trade-offs between the time slot, the instructor, and the class location. Think for a moment, if you had all the money in the world, where would you live? It’s probably not where you’re living today. You have probably made a housing decision based on scarcity. What location did you pick? Given limited time, you may have chosen to live close to work or school. Given the demand for housing, some locations are more expensive than others, though, and you may have chosen to spend more money for a convenient location or to spend less money for a place that leaves you spending more time on transportation. There is a limited amount of housing in any location, so you are forced to choose from what’s available at any time. Housing decisions always have to take into account what someone can afford. Individuals making decisions about where to live must deal with limitations of financial resources, available housing options, time, and often other restrictions created by builders, landlords, city planners, and government regulations. Throughout this course you’ll encounter a series of short videos that explain complex economic concepts in very simple terms. Take the time to watch them! They’ll help you master the basics and understand the readings (which tend to cover the same information in more depth). Economics is the study of how humans make choices under conditions of scarcity. Scarcity exists when human wants for goods and services exceed the available supply. People make decisions in their own self-interest, weighing benefits and costs. Every society, at every level, must make choices about how to use its resources. Families must decide whether to spend their money on a new car or a fancy vacation. Towns must choose whether to put more of the budget into police and fire protection or into the school system. Nations must decide whether to devote more funds to national defense or to protecting the environment. In most cases, there just isn’t enough money in the budget to do everything. Economics helps us understand the decisions that individuals, families, businesses, or societies make, given the fact that there are never enough resources to address all needs and desires. Most goods (and services) are economic goods, i.e. they are scarce. Scarce goods are those for which the demand would be greater than the supply if their price were zero. Because of this shortage, economic goods have a positive price in the market. That is, consumers have to pay to get them. What is an example of a good which is not scarce? Water in the ocean? Sand in the desert? Any good whose supply is greater than the demand if their price were zero is called a free good, since consumers can obtain all they want at no charge. We used to consider air a free good, but increasingly clean air is scarce. Land: any natural resource, including actual land, but also trees, plants, livestock, wind, sun, water, etc. Economic capital: anything that’s manufactured in order to be used in the production of goods and services. Note the distinction between financial capital (which is not productive) and economic capital (which is). While money isn’t directly productive, the tools and machinery that it buys can be. Labor: any human service—physical or intellectual. Also referred to as human capital. Entrepreneurship: the ability of someone (an entrepreneur) to recognize a profit opportunity, organize the other factors of production, and accept risk.